Unravel the secret language encoded into the fingerprint patterns and give every single client pinpointing and concrete life-mapping direction. Hand Readers are you ready to increase your awareness and expand your language library linked to life purpose and life lesson deciphered from the fingerprint patterns? You’re passionate about reading hands but sometimes wondering what to say to your clients about their life purposes and lessons so that they’re wowed and wanting more? You know how much there is to read in the hands to inspire deeper transformation but want more formulas and templates to illuminate your message? You’ve read a lot of hands and now crave colleagues to dialog about life purpose/life lesson stories, explanations, and experiences including what worked and didn’t work? You love challenging yourself and you’re committed to making your soul centered practice a success? You’re ready to stand fully in your leadership by guiding your clients into deep transformation with an extensive databank of life purpose language? If this is YOU then you’re not alone! And yes, a solution is here. All you need is an experienced teacher and fellow colleagues to join together to dive deeply into the scientific language of life purpose and learn how to artfully articulate your compelling message as you decipher the fingerprint code. Revolution of Purpose gives Hand Readers advanced life purpose and life lesson narratives, which provide a far-reaching database to draw upon during readings with clients. Anxiety and self-doubt about your database will be replaced with confidence, grace and ease when delivering the most meaningful message. 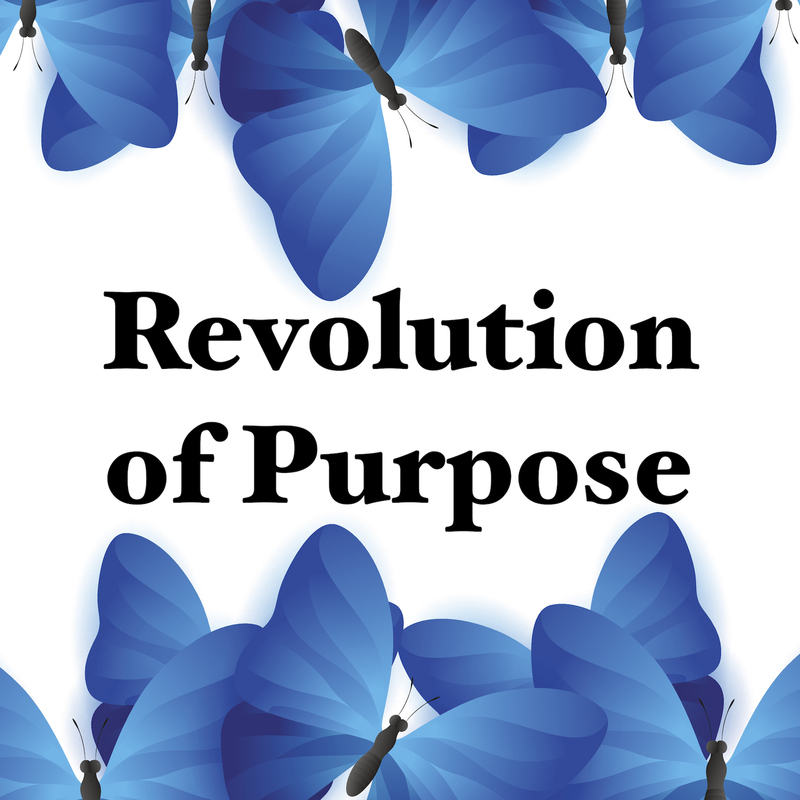 Revolution of Purpose delivers rich conversations and unparalleled insights into the consciousness of life purpose, which helps you quickly and effectively, translate the fingerprint code to your clients. Your clients will feel immediately seen, validated and inspired. You’ll create clear-cut blueprints for your clients to clearly comprehend their life purpose and specifically how to connect with it so they can transcend the stifling conflict and paradoxes woven into the fingerprint code. The life lesson is key. Get more hands-on experience with all the life lessons so your client can turn the key and be free. Learn how to answer your client when she asks, “How, where and when do I activate my life purpose? Join with colleagues to dialog about life purpose/life lesson stories, explanations, and experiences including what worked and didn’t work. The results? More referrals, increased income, rock-solid confidence and courageous living – on purpose. So, are you ready to give more of what your clients want from you, expand your language databank and live more courageously into your life purpose? Exploration of Paradoxes – Do you have lots of ideas how to support your clients but not sure of the best place to start? Here you’ll organize your ideas into a simple and dynamic framework. Suddenly you’ll see how the puzzle pieces fit together so you know exactly how to create a life changing, pinpointing mantra for each of your clients. Revolution of Purpose Blueprint – Can you imagine meeting your ideal client in 5 years and seeing her retrieve a one-page summary of your reading from her purse? This is the impact you could have when using the Blueprint template. Home Assignments – If you struggle how to stay authentically connected with your clients – for long term, here’s a sure-fire solution. First, you’ll complete assignments and learn just how powerful they will be for your clients. This workshop is for anyone who has completed basic training in fingerprints from the AAHA, the IIHA or any teacher from the IIHA or AAHA. We’ll briefly review the fingerprint ranking system, 5 basic types of fingerprint patterns, how to determine the Life Path. Don’t delay. Sign up today while seats last.